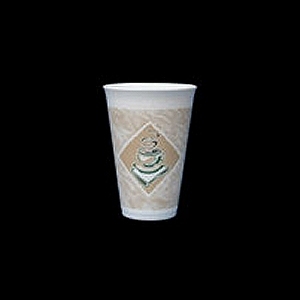 16 Ounce "Dart" Foam Gourmet Coffee Cup. White foam with brown design. Lids 16FTLS and 16EL are sold separately.